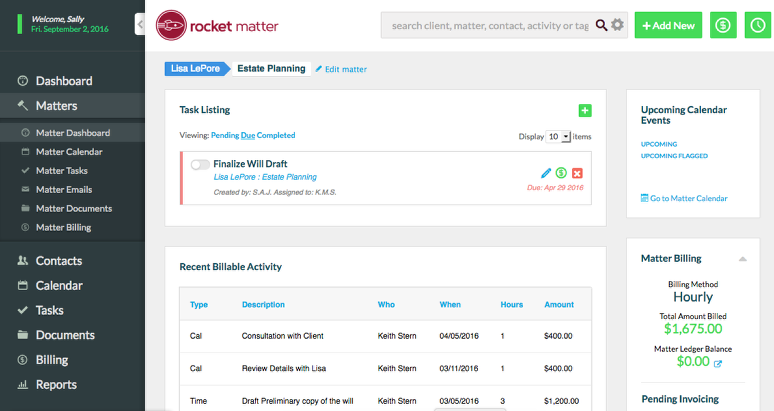 Rocket Matter Knowledge Base MattersHow to close a matter. 3. 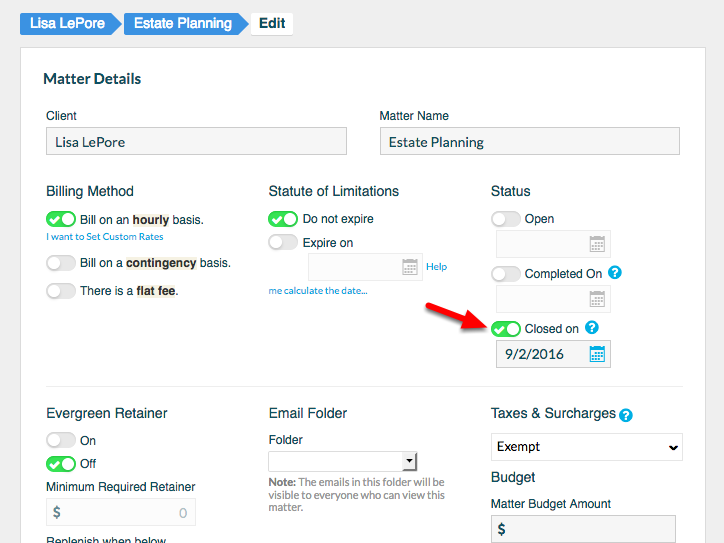 Select 'Closed', specifying the closing date. 4. Scroll to the bottom of the screen, and click "OK". 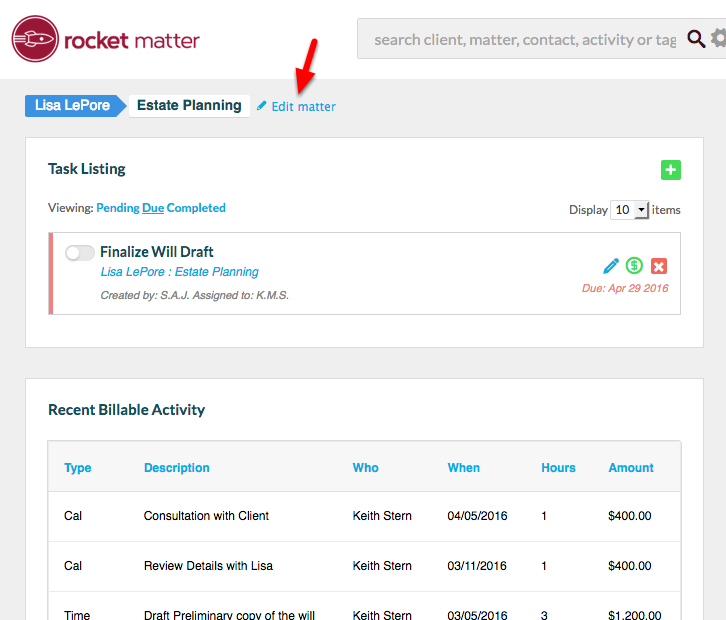 Prev: How to find a closed matter. 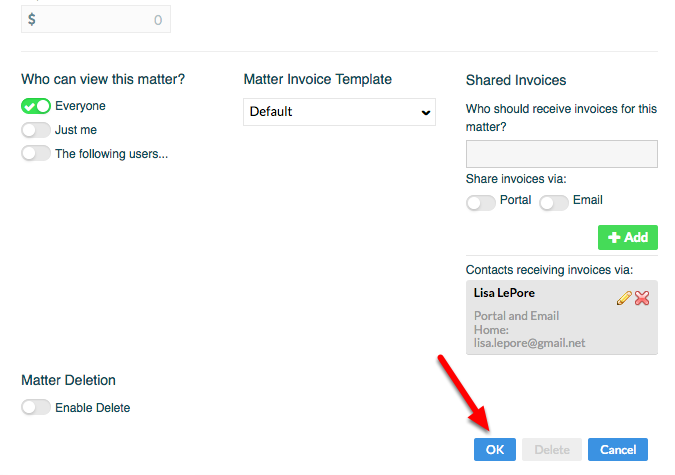 Next: What is default matter billing type?